The Russian jet, the Sukhoi Su-24, that was shot down by Turkey Tuesday had a history of being used for low-level airstrike missions and has been used by Russian forces in Syria since the beginning of operations. Russia’s Defense Ministry said the aircraft, also known as a Fencer by NATO forces, was flying at an altitude of 6,000 meters over Syrian airspace. "The fate of the pilots is being determined...The circumstances of the plane's crash are under investigation," said the statement from Russia’s Defense Ministry. The Su-24 was first produced during the Soviet era with approximately 1,400 planes made. The twin-engine planes are designed for two crewmembers and produced today by the Sukhoi Company, one of Russia’s major aircraft manufacturers. The Su-24M came into production in 1983 with increased combat effectiveness, according to the Sukhoi Company. “The Su-24/Su-24M is currently the only type of modern domestically-produced frontline bomber and forms the backbone of the strike capability of the frontal aviation of the Air Forces of the RF [Russian Federation] and Ukraine,” according to a history of the aircraft from the Sukoi company. 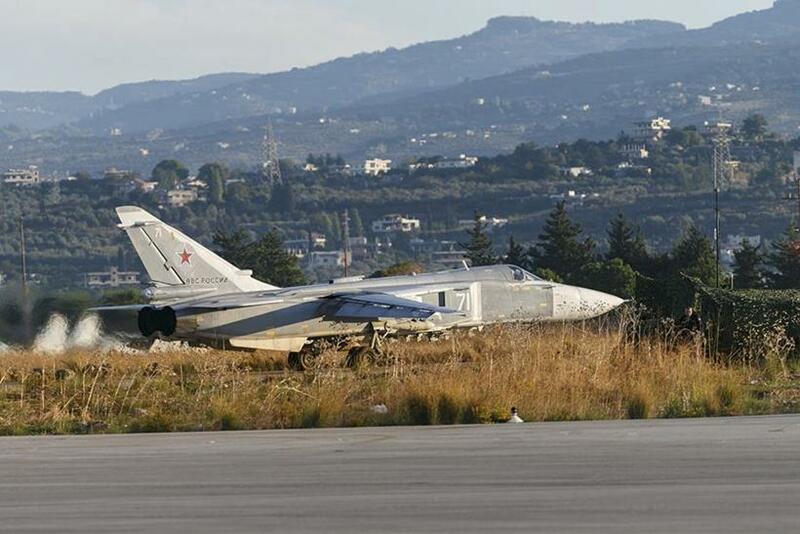 Russia has deployed 12 Su-24M2 aircraft to Latakia, Syria, since it began airstrikes in the country Sept. 30, the Aviationist reported. The Su-24 aircraft are used for “ultra low level strike missions.” The Syrian Air Force is also reportedly using the aircraft. Russia began airstrikes in Syria to combat the Islamic State group, also known as ISIS. However, Western governments have accused Russia of also striking opposition groups who pose the greatest challenge to long-time Russian ally Syrian President Bashar Assad. Russian aircraft have breached Turkish airspace before with a Su-30SM and Su-24 flying over the Hatay area in early October. NATO issued a warning regarding the airspace breaches in October protesting the violations of Turkey’s sovereign airspace. “The aircraft in question entered Turkish airspace despite Turkish authorities’ clear, timely and repeated warnings. In accordance with NATO practice, Turkish fighter aircraft responded to these incursions by closing to identify the intruder, after which the Russian planes departed Turkish airspace,” the statement said. Turkey has said the aircraft was flying over its airspace and was warned several times before it was shot down. Russia has said the aircraft did not violate Turkish airspace.